IADA was founded in 1960 to encompass both the San Bernardino and Riverside countries. In 1963, the IADA hot line was started and is still a major source for its members. 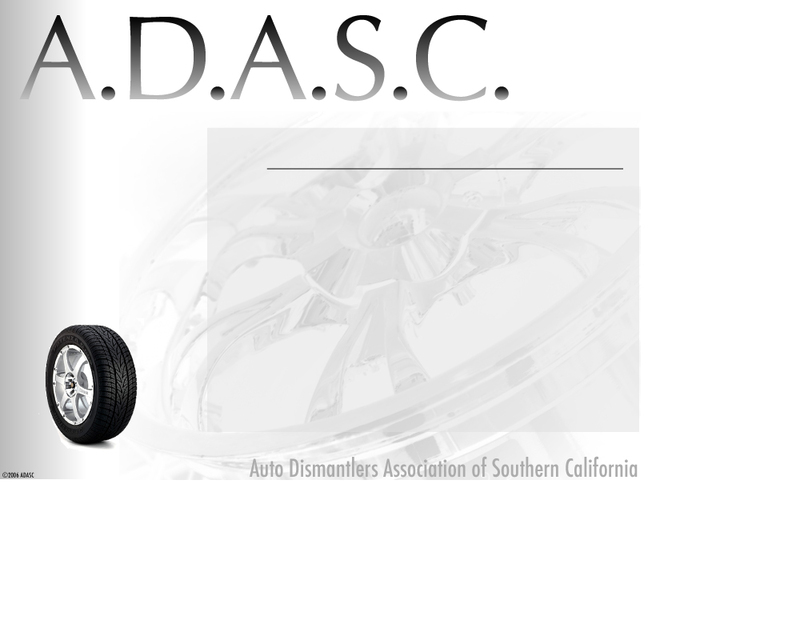 The Valley Auto Dismantlers and Recyclers Association (VADRA) was founded in 1977 with 50 members from ADASC. It later added members from the greater San Fernando Valley and cities to the north like Santa Barbara and San Luis Obispo. Until recently, it was called the Valley Auto Dismantlers Association. The name was changed to reflect the industry's involvement in the recycling effort. California Auto Dismantlers & Recyclers Alliance, Inc.
CADRA was formed to provide benefits, education and legislative representative for all licensed dismantlers. The association provides education for its members to assist in the implentation of regulations required in California. It affords its members and others in the industry with a means to exchange ideas and distribute information. Tim Yaryan, Legislative advocate. Click on "clients only". Click on CADRA for a list of bills current legislation is following.